This was probably the best steak I’ve ever made. Thank you again Mark Bittman. 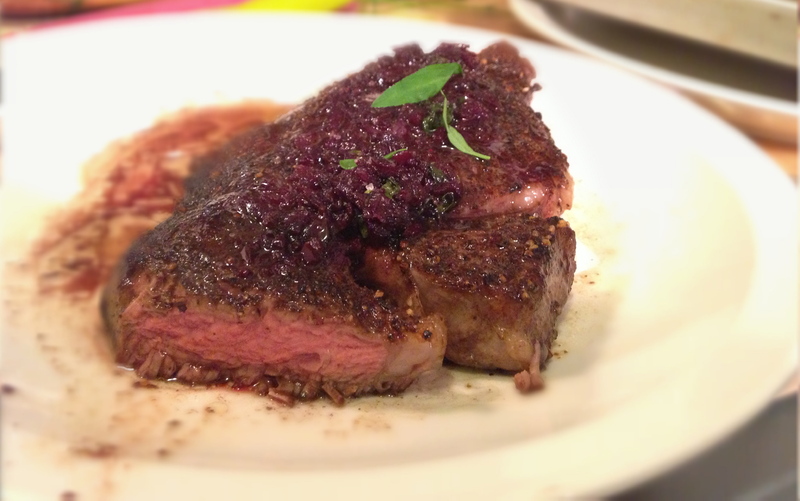 It is also known as “pan seared steak with black pepper and red wine” and has 592 likes on the Mark Bittman’s iPad app, which is one of his higher rated recipes. 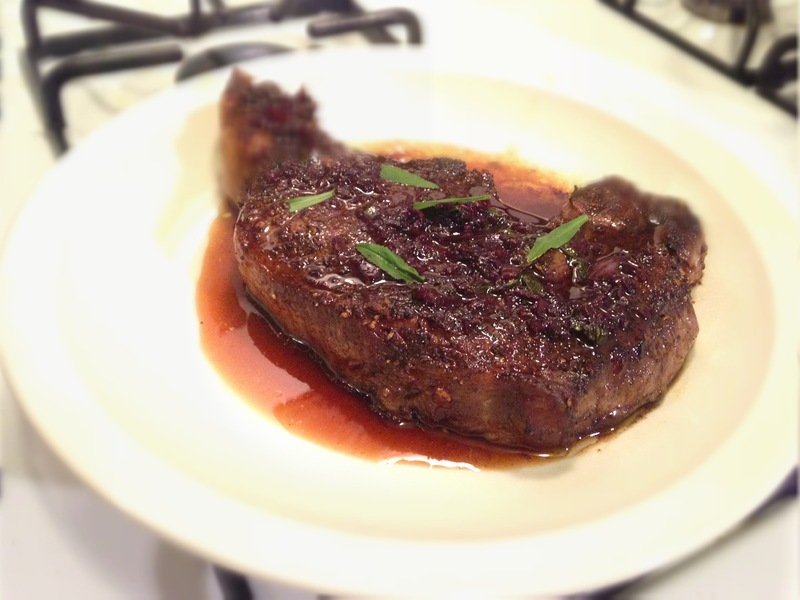 If you follow the directions exactly, you come away with a juicy tender steak on the inside with a crispy flavorful peppery crust, moistened by a lovely sweet red wine sauce. He says the tarragon is optional, but I think it made a big difference, so I wouldn’t skip on that. This recipe can feed 2-3 people. I was really full half way through the meal but cleaned my plate anyway (it was that good!). 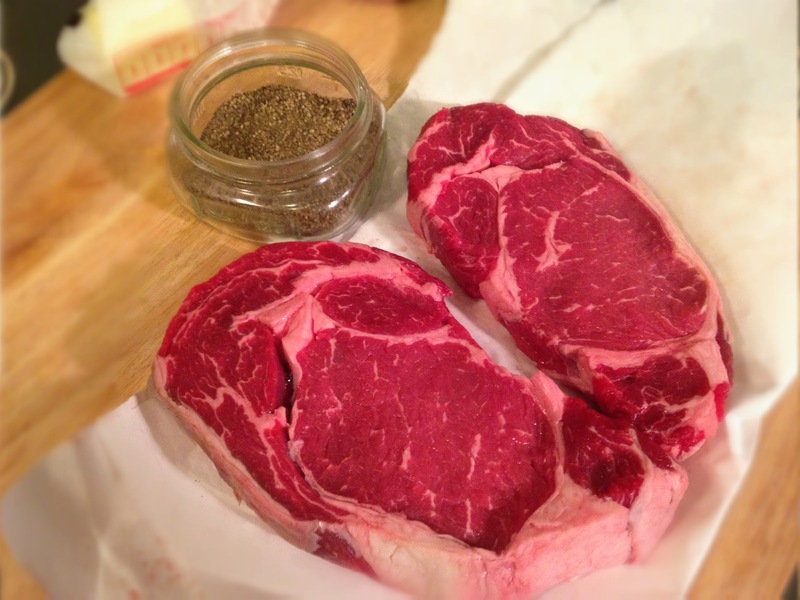 Here’s what you’ll need: 2 high quality steaks (total of 16 – 24 ounces of filet mignon, strip, or rib eye; I used 2 organic rib eye steaks just over an inch thick, 1.75 lbs – about $25), 1 tablespoon freshly ground black pepper (please don’t use pre-ground black pepper, it really would not be the same dish), 3 tablespoons unsalted butter, 1 tablespoon minced shallot, 3/4 cup red wine (zinfindel, or other fruity red wine; I used a red wine blend with the description of being fruity and great for steaks), a few sprigs of fresh tarragon. 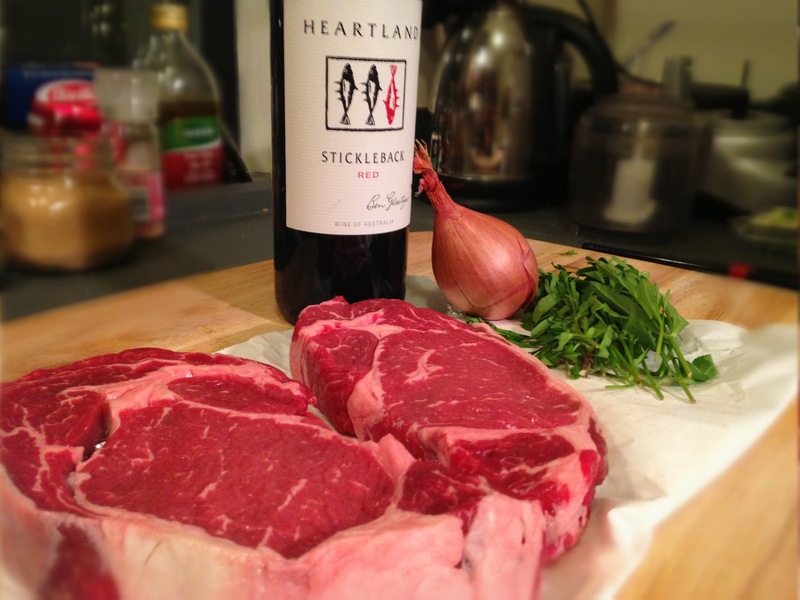 First, let your steak sit out at room temperature for about 20 minutes (this prevents the pan from cooling down and helps the steak sear nicely). Preheat your oven to 200 degrees F and place a small baking sheet inside. Heat a large frying pan on medium for 3 minutes to get it really hot. 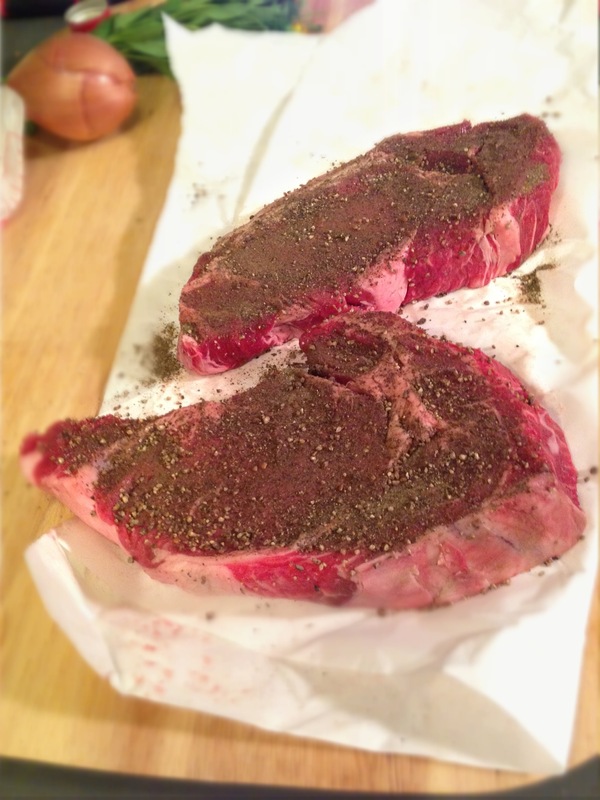 Meanwhile coat your steaks with freshly ground black pepper and rub it in. Add 2 tablespoons of butter to pan and turn heat up to medium high for two minutes or so to get the pan really hot. Add the steaks giving each enough room to breath so that it does not steam. 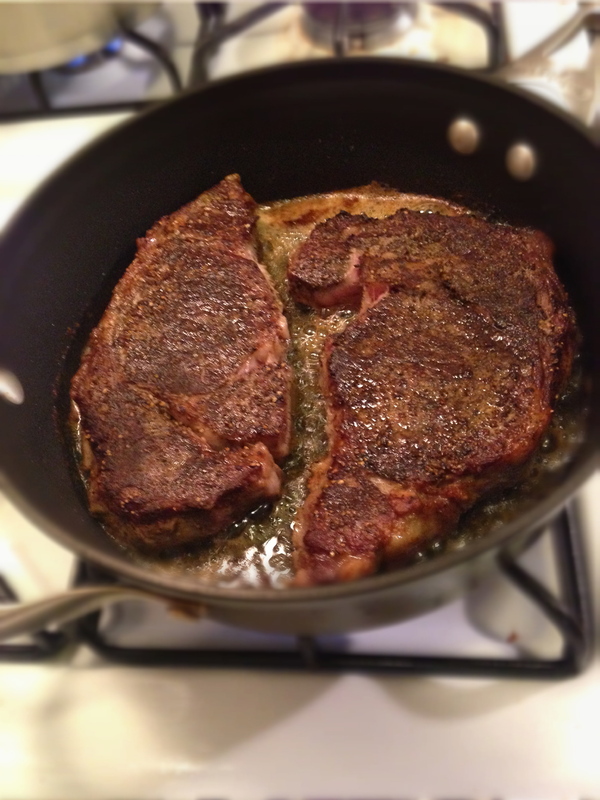 Sear each side for exactly 3 minutes. Then transfer to your baking sheet in oven where it will rest and cook a little more, for at least 7 minutes. 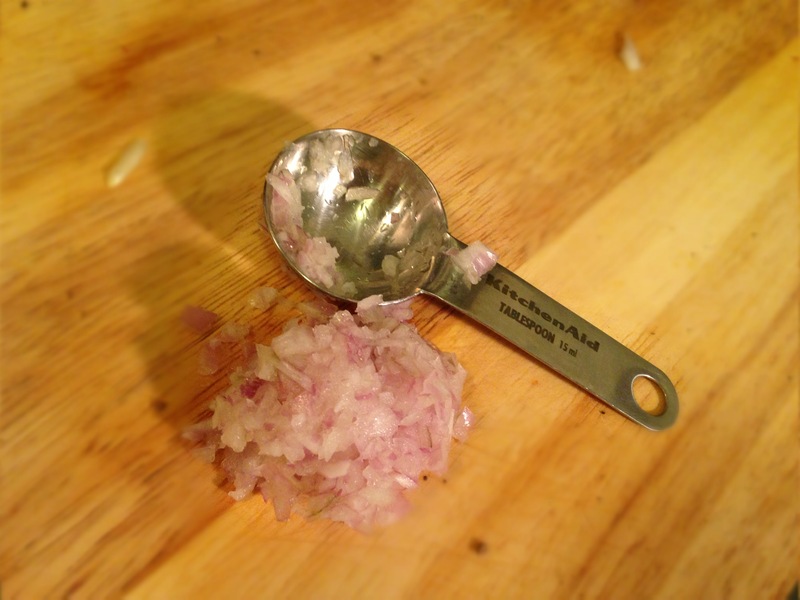 Next, throw half a shallot in the food processor til minced. 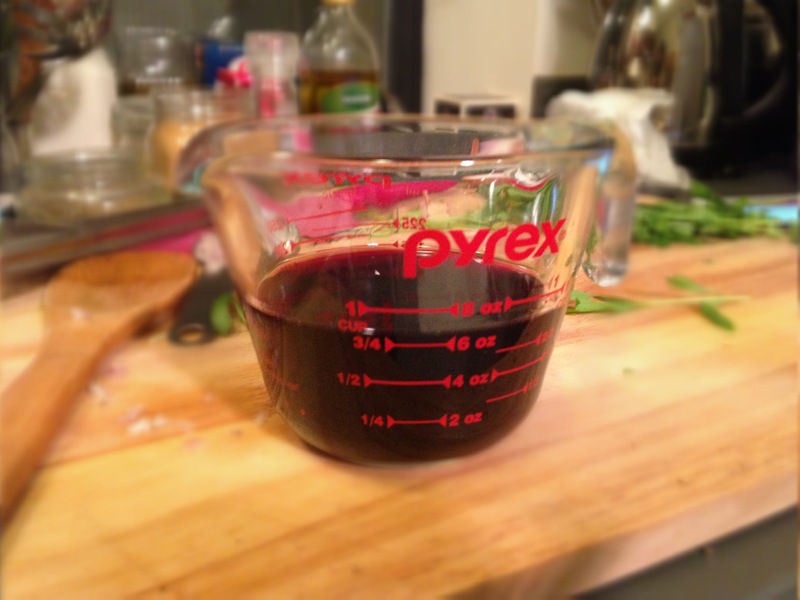 You’ll need about 1 tablespoon. Add the rest of the butter and shallots to the pan, and cook for about one minute. 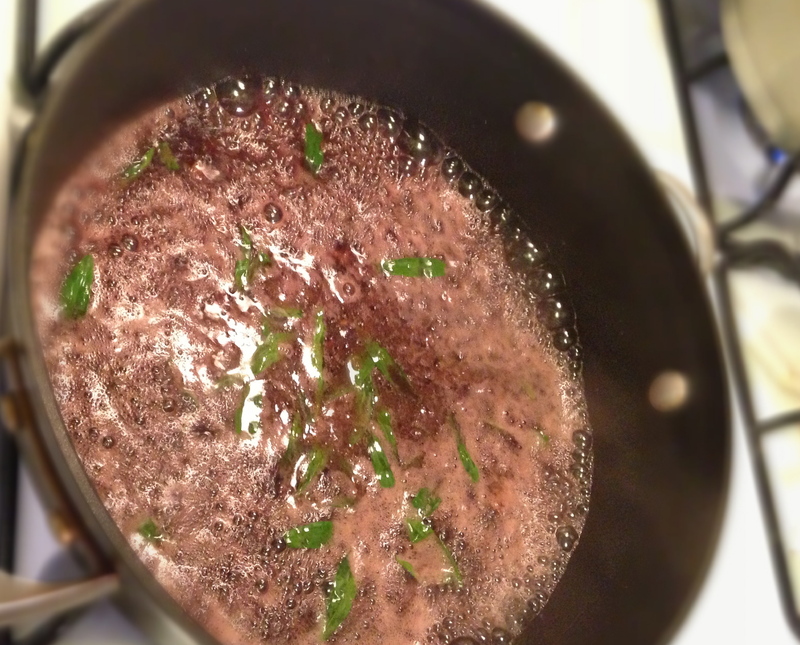 Then add 2 sprigs worth of tarragon leaves, 3/4 cup red wine, cook on medium heat til almost all of the liquid has evaporated off. This took about 8 minutes more or less. You end up with about 1/4 cup of sauce. 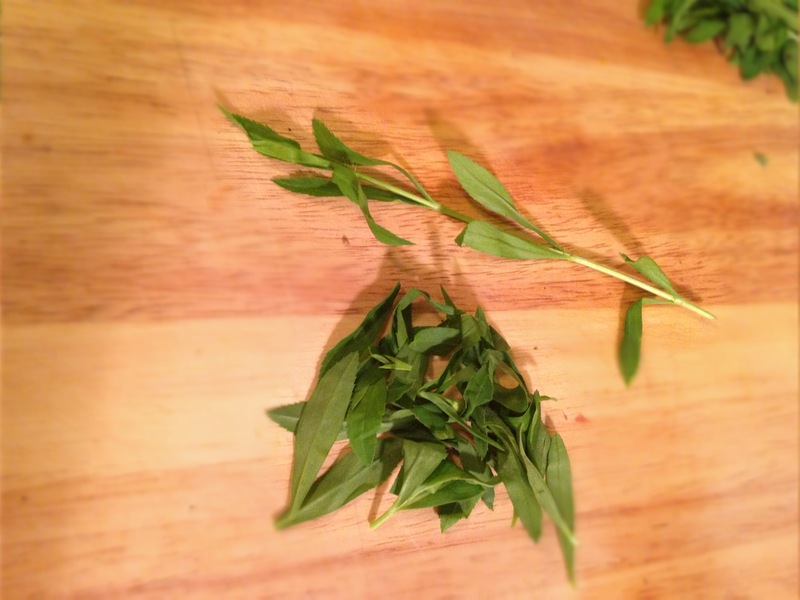 Now plate your steak, spoon the sauce over, season with sea salt, and garnish with tarragon leaves. 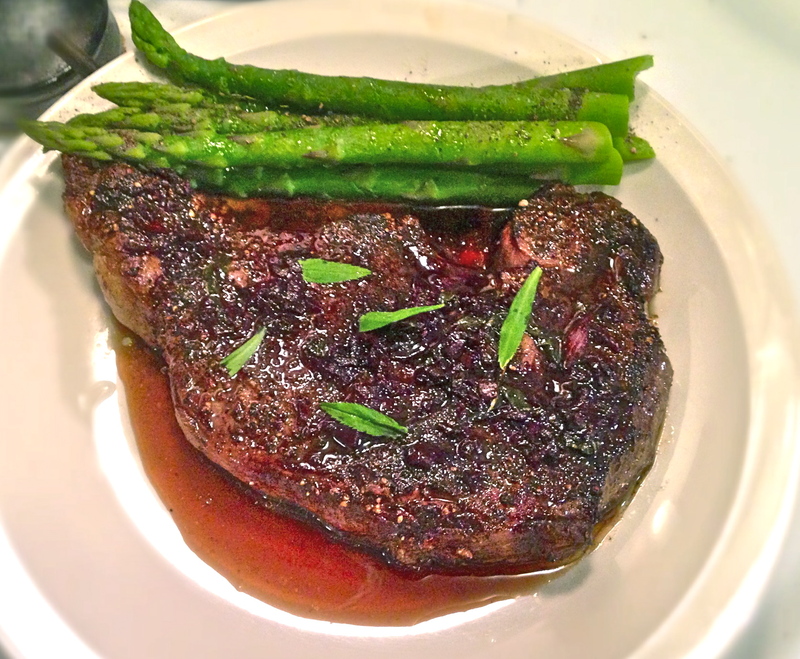 I had mine with boiled asparagus and a drizzle of extra virgin olive oil.